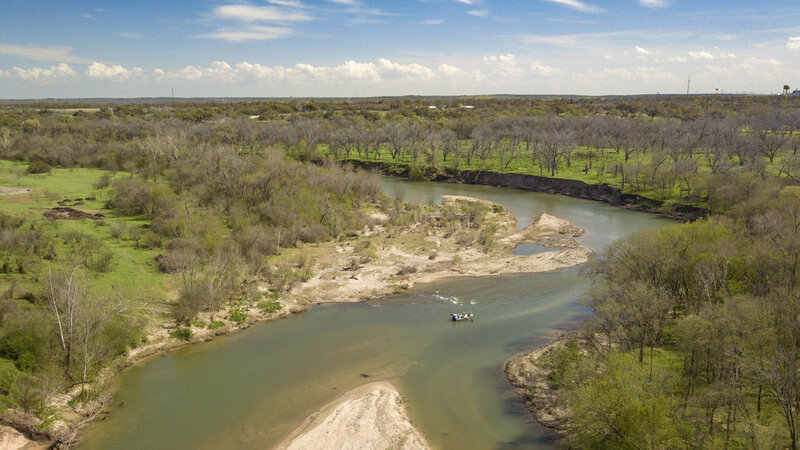 The Colorado River is the 18th longest river in the United States and the longest river with both its source and mouth within Texas, however its drainage basin and some of its usually dry tributaries do extend into New Mexico. 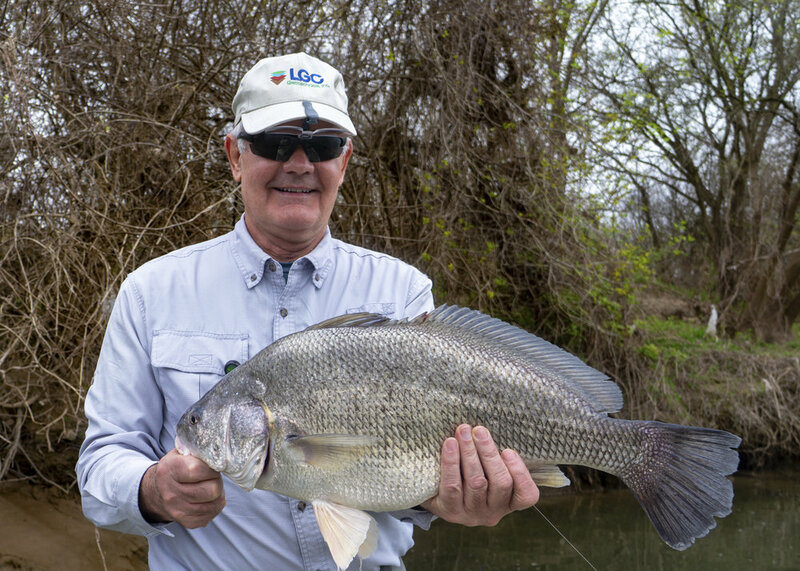 The 862 mile long river flows generally southeast from Dawson County through Marble Falls, Austin, Bastrop, Smithville, La Grange, Columbus, Wharton, and Bay City before emptying into the Gulf of Mexico at Matagorda Bay. 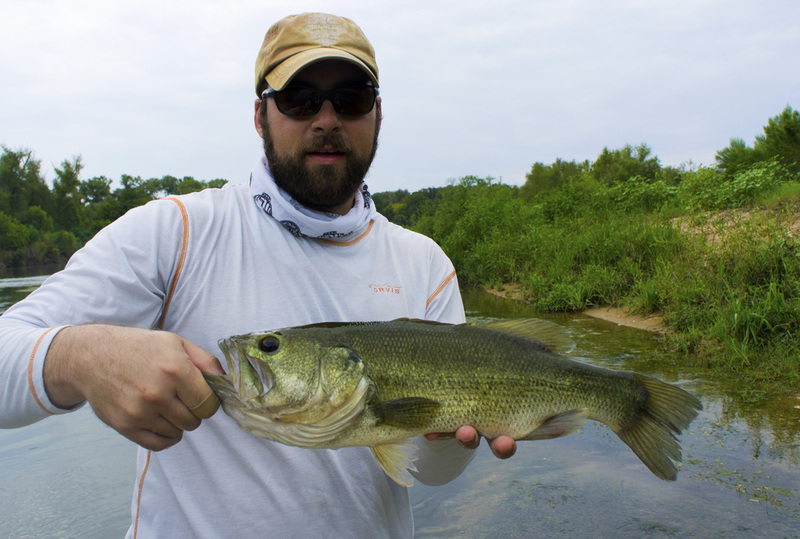 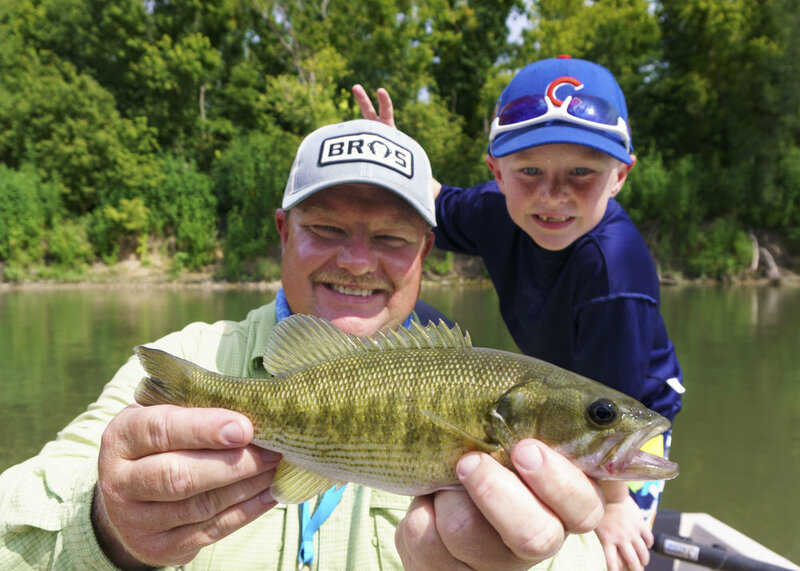 The Colorado River below Austin offers some of the best bass fishing in the central Texas area. 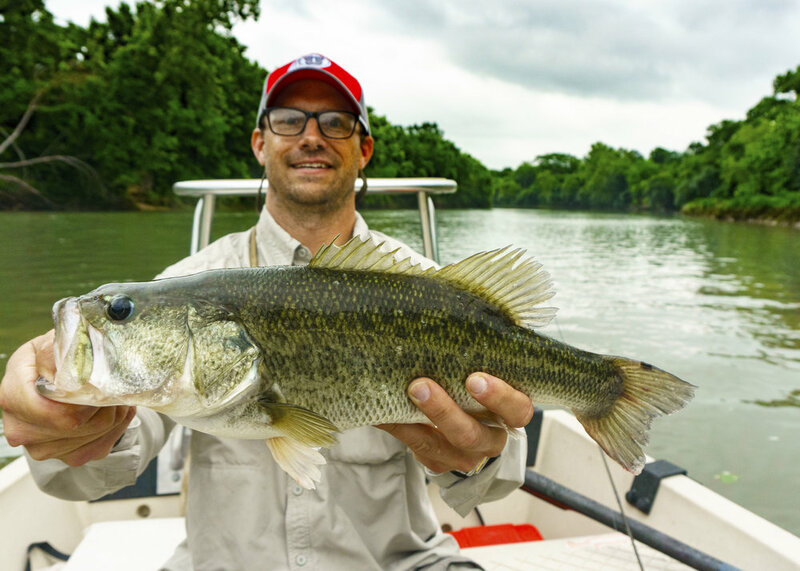 Bass in the Colorado River below Austin will be larger on average than most other hill country rivers. 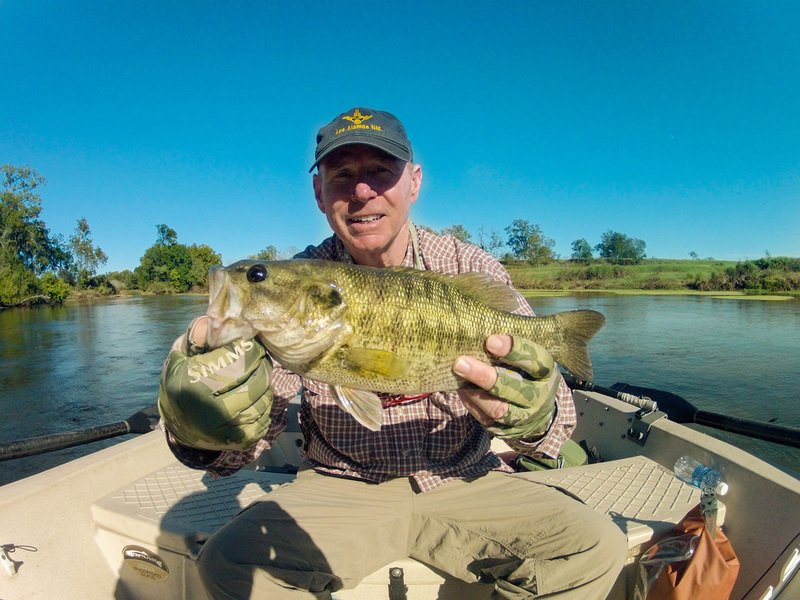 There is always a possibility to catch a 5 plus pound bass on the Colorado and in the past few years we have seen a handful over 7 pounds. 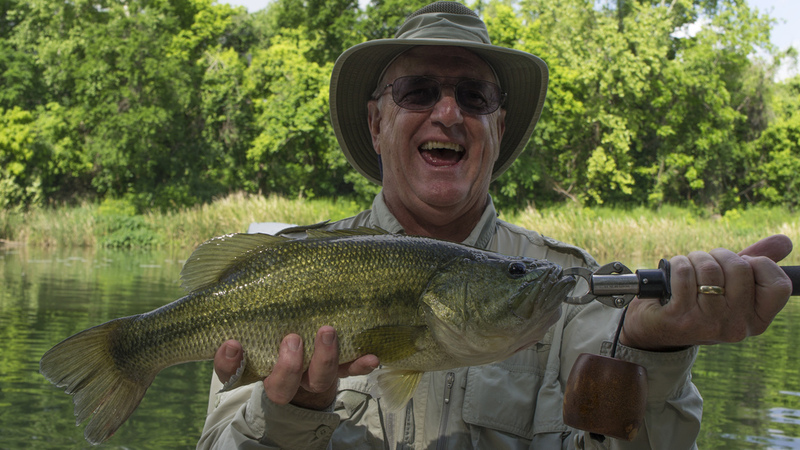 The Colorado River is the best place to catch a large Guadalupe Bass as well. 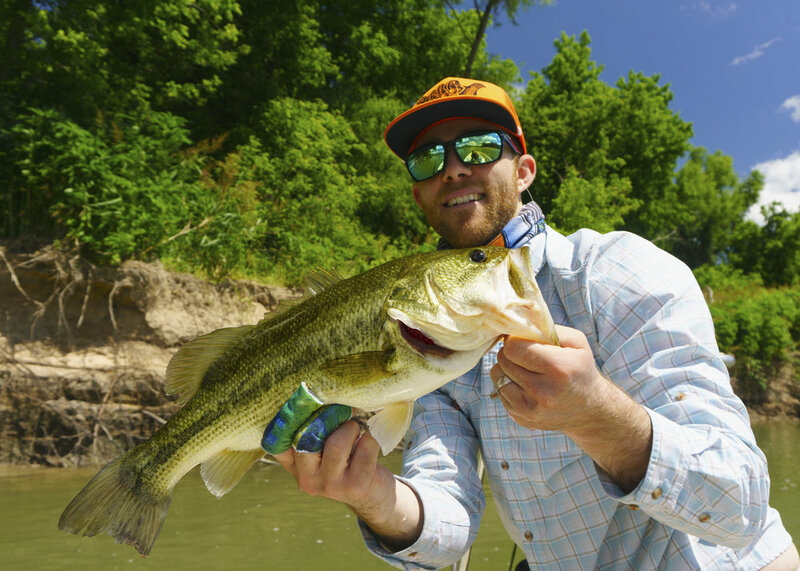 We have seen quite a few over 3 pounds and the state record was caught in the Colorado River below Austin. 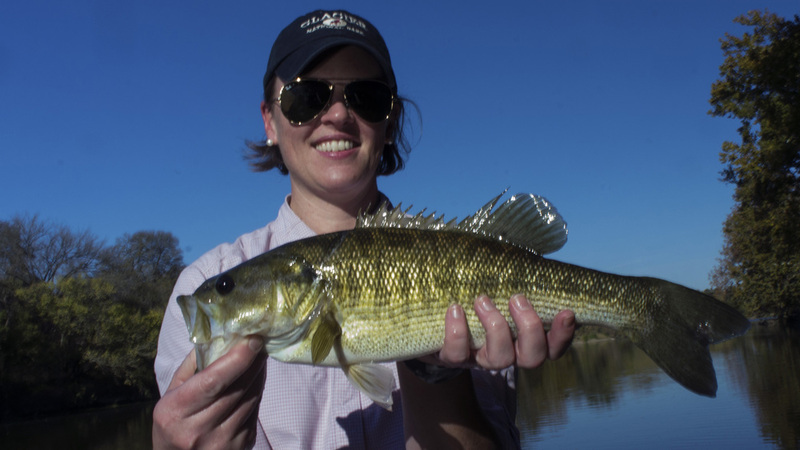 In addition to the bass, the Colorado River is home to several other species that will take a fly. 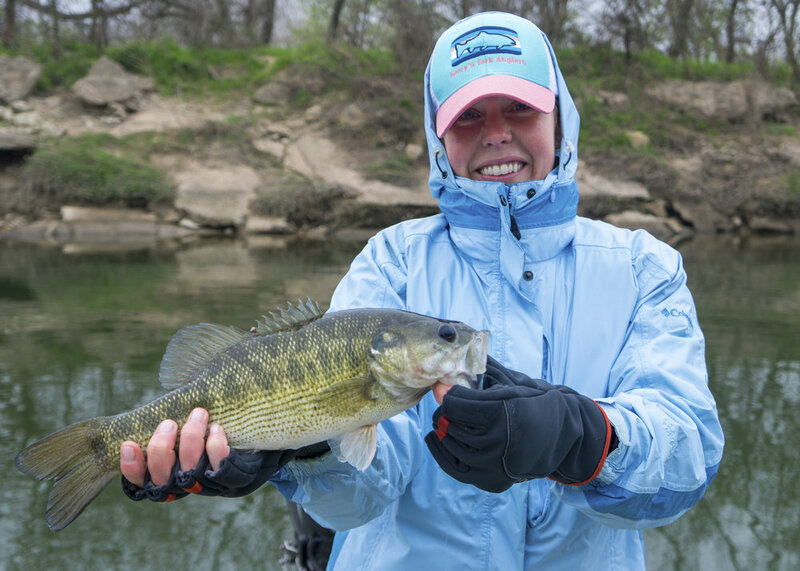 Sunfish are great light tackle fun. 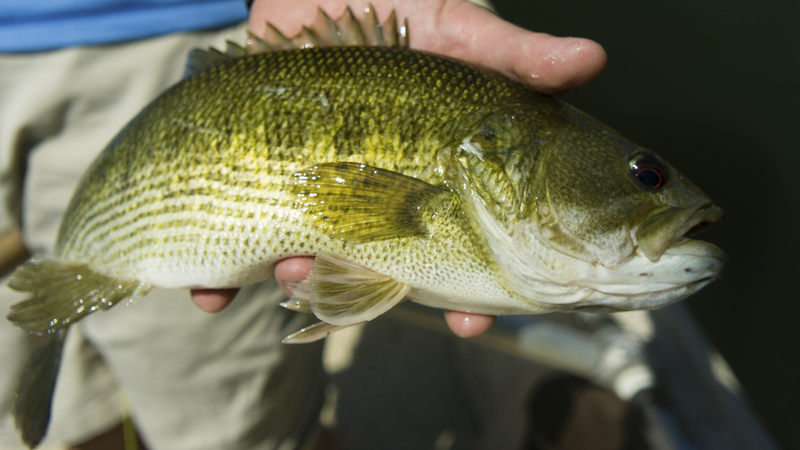 Catfish in the Colorado River will take a subsurface fly and they can be one of the hardest fighting fish in the river. 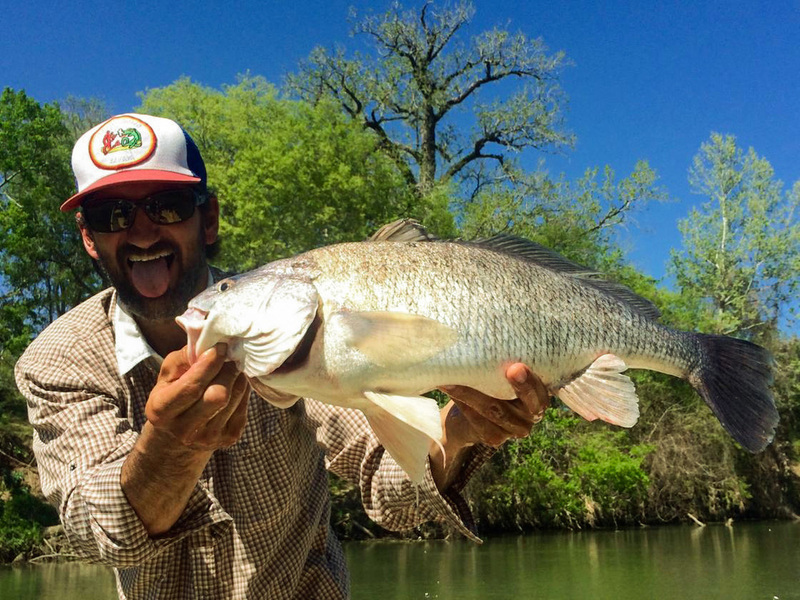 Gasper goo or freshwater drum have also been caught up to 15 pounds on a fly in the Colorado River. 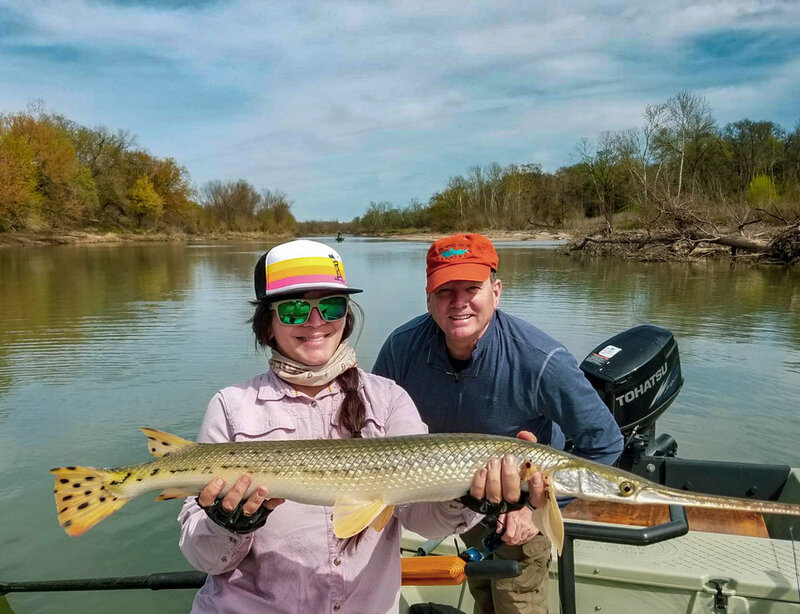 Several different species of gar (spotted, long-nosed, short-nosed, and even a few alligator gar) can also be targeted in the Colorado. 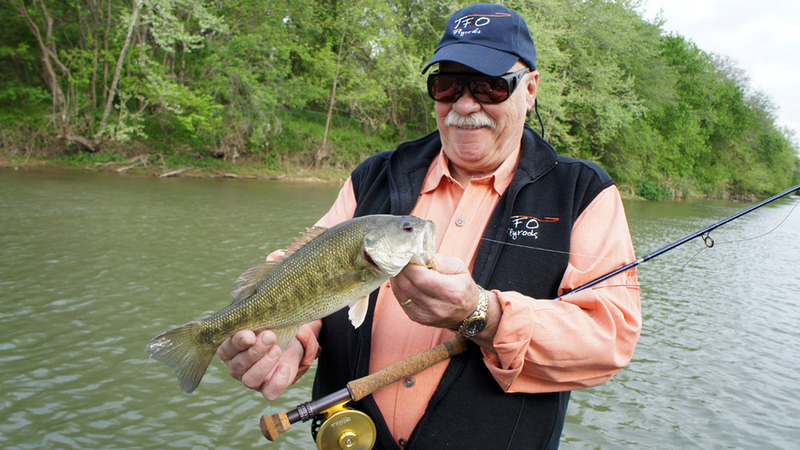 Despite the proximity to Austin, the Colorado River gets very little fishing pressure. 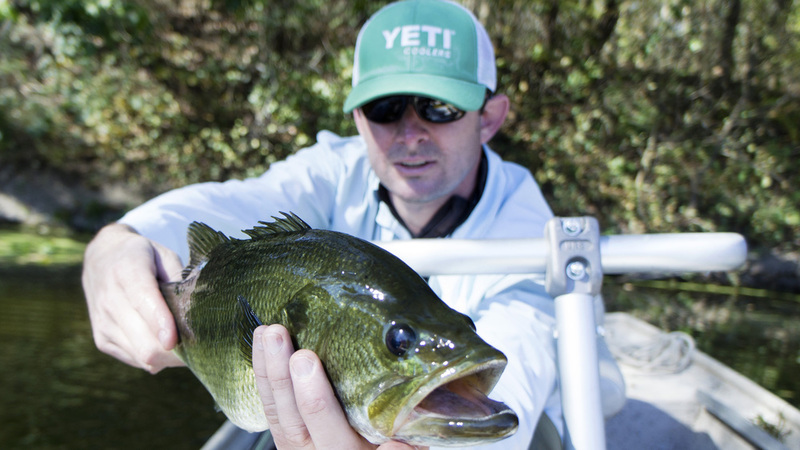 Limited access and long distances between put ins and take outs make it even harder to access the best spots. 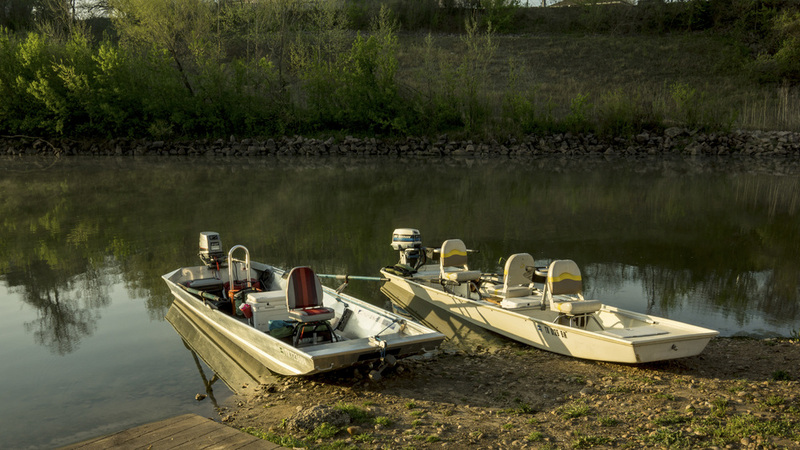 Because of this we use jet powered skiffs to cover as many river miles in a days fishing as possible to you get to where the fish are.